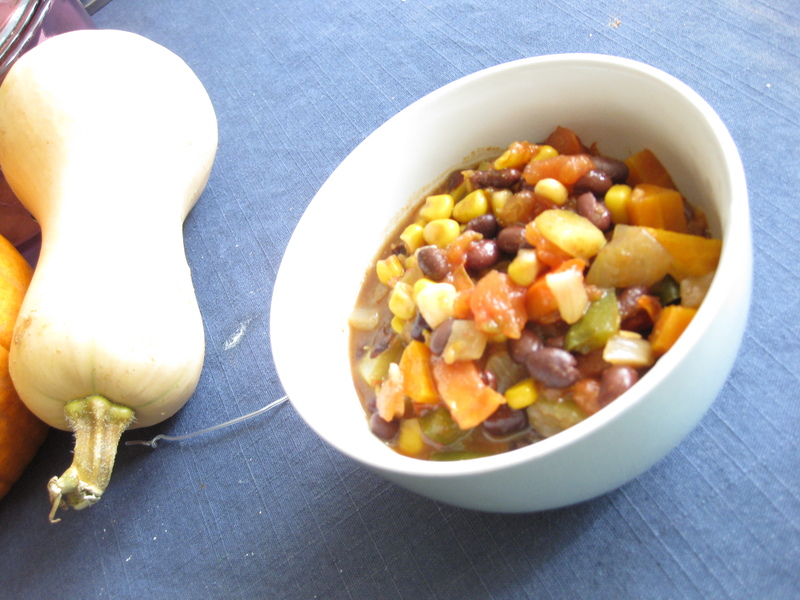 veganmofo 5: Vegetables and Slow Cookers | Go Fork Go! As an omni, I loved my slow cooker. Meat just takes so long to marinate and cook etc etc and the slow cooker solved all of my problems. I don’t like to spend more than half an hour cooking on weeknights since I get back late most nights so I tend to cook on weekends and maybe once during the week and throw everything in the fridge (or freezer). When I decided to be vegetarian, I sort of stopped using my slow cooker except when I wanted to make soup stock (my crockpot is bigger than all of my other pots). I mean, vegetables don’t take that long to cook and I didn’t like cooking on weekdays anyways. One thing about being vegetarian for me: I like to put a LOT of veggies in everything. 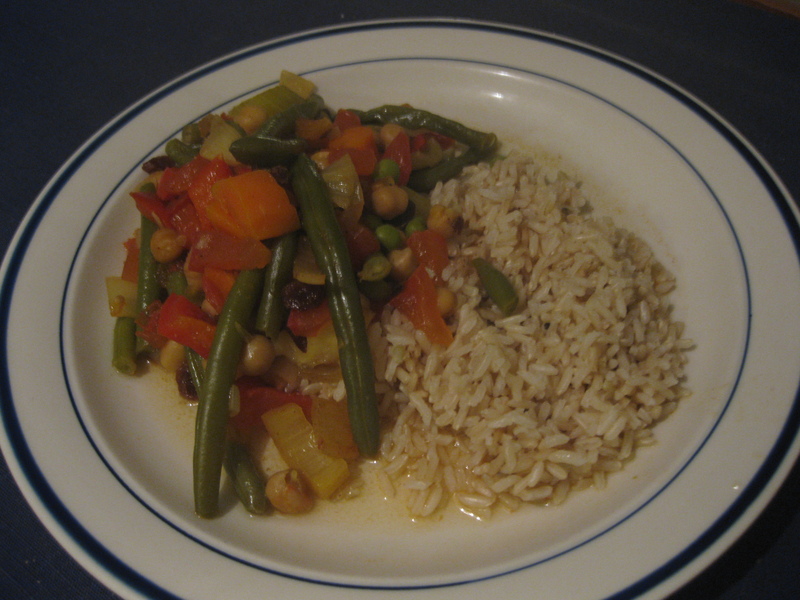 I will often look at a recipe and double all the vegetables, halve the beans and omit most of the oil. Problem: Chopping vegetables is a pain. It takes way too long. But I digress. Recently, I found the book Fresh from the Vegetarian Slow Cooker and figured hey, I can eat more new different foods during the week rather than making large batches during the weekend and eating the same thing all week. And I rediscovered how awesome my slow cooker is at the same time. So I bring to you a post on meals made in my slow cooker. Moroccan-Inspired Vegetable and Chickpea Stew: I used 3 fresh tomatoes rather than canned tomatoes and omitted the olives (which I don’t like) and parsley leaves. I don’t really like using canned tomatoes. 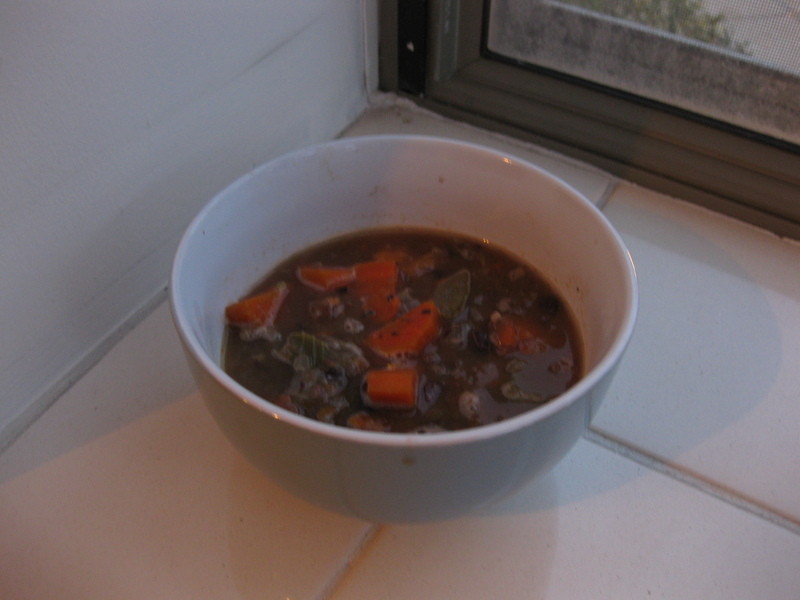 Black Bean Soup: Added celery, sweet potato and an extra carrot, took out a can of black beans, subbed 1 ginormous tomatoes for the canned and used 3 cups of vegetable stock rather than 4. I’ve decided that I want an immersion blender. Yummy but I might omit the sweet potato next time… I can’t figure out what it adds to the recipe. Saute the onion, garlic and the carrots, celery and bell peppers with the olive oil for about 3-5 minutes. Add salt, black pepper and chili powder and saute for another couple of minutes. Pour into slow cooker and add all other ingredients except the corn kernels. Cook on low for 8-10 hours. Add the corn kernels in the half an hour. (To be honest, you could probably put them in from the start and it isn’t likely to make much of a difference). ← veganmofo 4: More Oats!